Scarves and boots are making an appearance from the depths of your closet, and you may find yourself on a quest for the best latte in town. Warm your hands up at these coffee havens and grab yourself a sweet treat at one of Vancouver’s many bakeries. 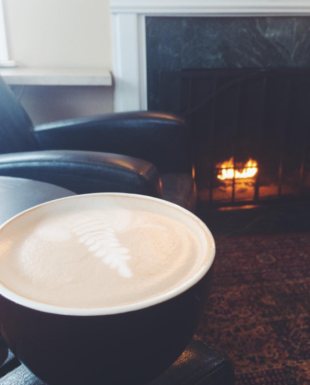 Picture this: Cozy up by the fireplace at Latte Da Coffeehouse and Wine Bar in a comfy leather chair and java in hand. The craftsman house-turned-café will have you feeling right at home with natural light streaming through the windows. Or, as the name suggests, a glass of red wine may be in your future. Order a fresh made-from-scratch-daily pastry from the Express Window, or stop in the café for a variety of breads, cookies, and treats. The atmosphere at Compass Coffee is warm and urban, with a long wooden community table and Edison bulbs hanging from the ceiling. With a commitment to ethically and sustainably-sourced beans, your drink of choice will be full of flavor and made with love. With a ‘treat’ for every occasion, Treat’s imaginative and playful desserts will have you coming back for more. 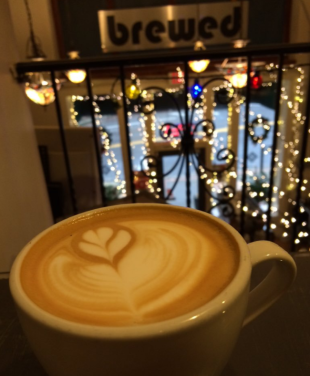 Come to Brewed Café & Pub for cool downtown vibes and in-house roasting of micro-lot coffee from around the world. Sit up in the balcony alcove with a good book or catch up with a friend! Be lured by the smell of fresh baked cupcakes. 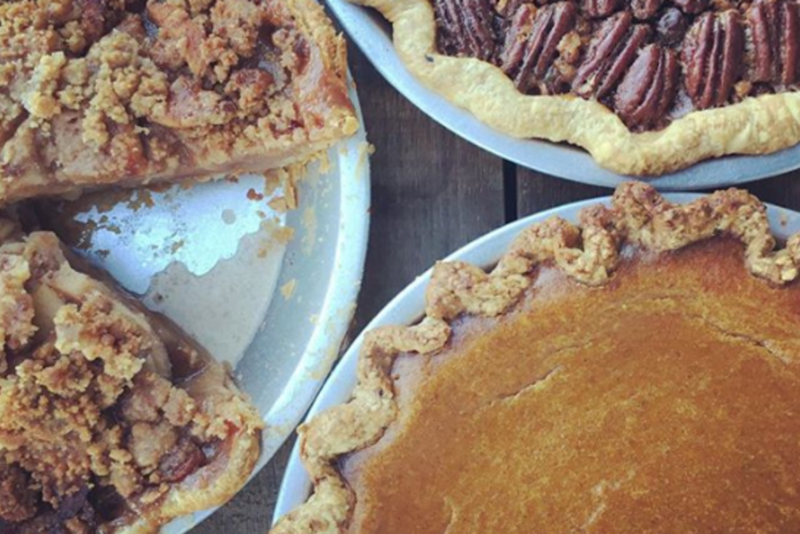 Fun flavors fill the tiered displays, along with specialty cookies and pies.